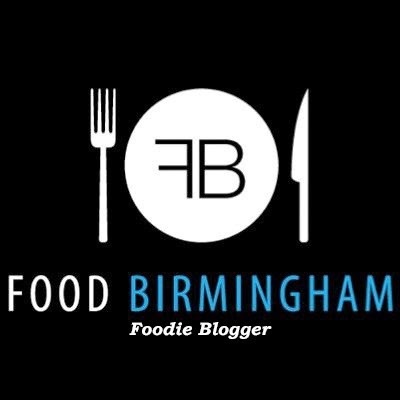 Positive Fridays- A Birmingham food blog: Halloween at University College Birmingham! Halloween at University College Birmingham! Why have I never done this before?! Last Tuesday, Edd and I headed to UCB to try out food at an event put on by the Hospitality students. I had heard about the restaurant and how good it was but had never gotten round to attending before. Most of the people eating were students or family of the students so I think it was a little odd for us to be there. Never mind, you can't go wrong for eighteen pounds! The students had dressed up in Halloween costumes and there was a magician (he used to be a teacher so we ended up chatting about that- magical). It was a lot of fun! 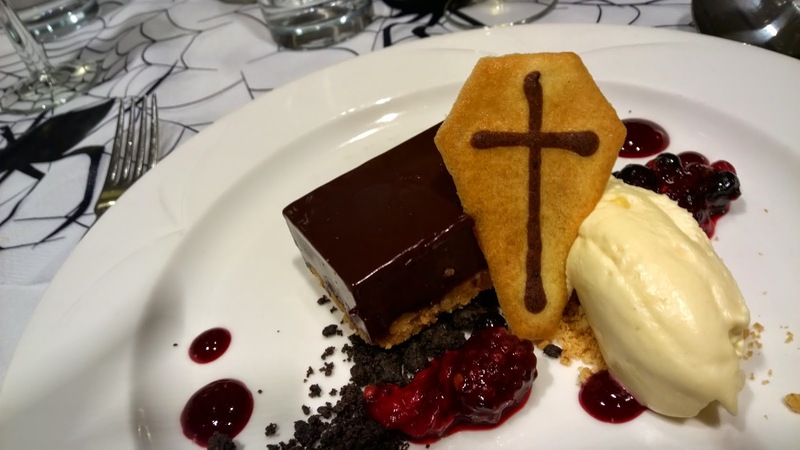 Tickets were only eighteen pounds and included a welcome drink, amuse bouche, three courses, coffee, the table magician and a little bag of sweets! The students serving were all very nervous and worked hard to make sure we had a great evening. One of them told me it was their first event, so I am excited to see what it will be like when they've had more practice. 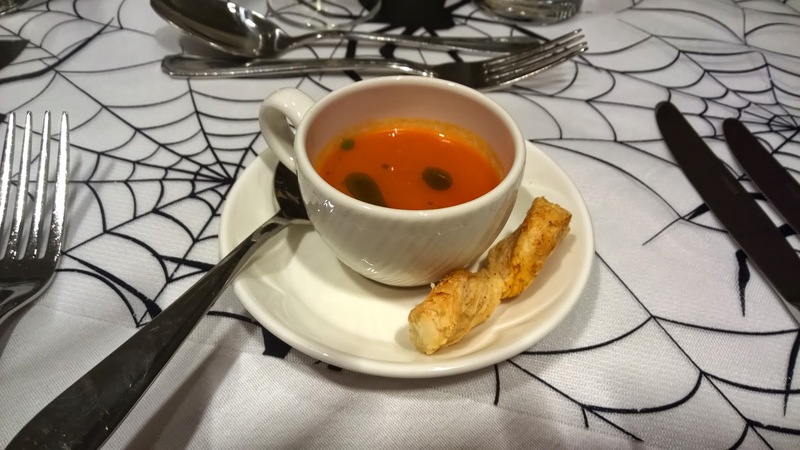 The amuse bouche was tomato soup with bread. 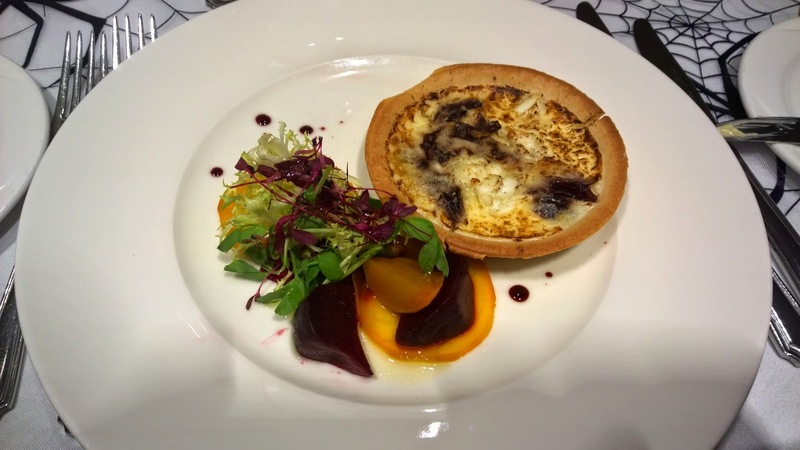 Starter was goats cheese and caramalised onion tart. I'm not a big shortcrust pastry fan so this wasn't for me. 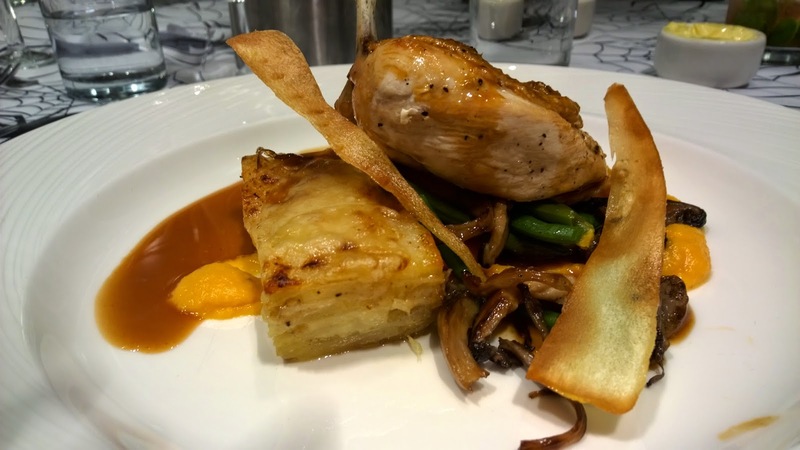 The main was chicken supreme which was very good indeed, the chicken was beautifully cooked. Finally pudding was a chocolate torte. We finished with coffee which wasn't great but you can't have it all. Service was a little hit and miss but that's why we are there- for them to practice on! Will definitely return to another event. What a great experience for the students, it reflects really well on the university.